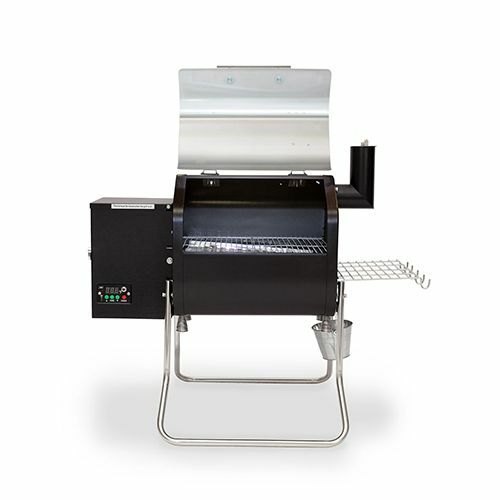 The award- and competition-winning, WiFi-controllable Davy Crockett wood-pellet burning smoker/grill is as at home in a small garden, patio or balcony as it is on a tailgate or campsite. Originally designed to be portable and easy-to-store, this versatile grill can be powered by an AC adapter, 12 volt car lighter plug or alligator clips. All of these are included with the grill. It comes with digital control, a meat probe, a stainless steel peaked lid, a convenience tray, and a venturi-style firebox for cyclone combustion. 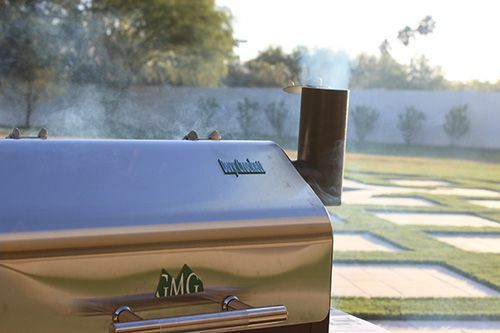 Open Flame technology lets you smoke low and slow or sear at high temperatures. Cooking with wood doesn’t get much tastier or easier than this! Point-to-point WiFi allows you to program your favourite customised sets of cooking instructions in Centigrade or Fahrenheit, and save them forever. The free downloadable app is available for iPhone and Android devices. 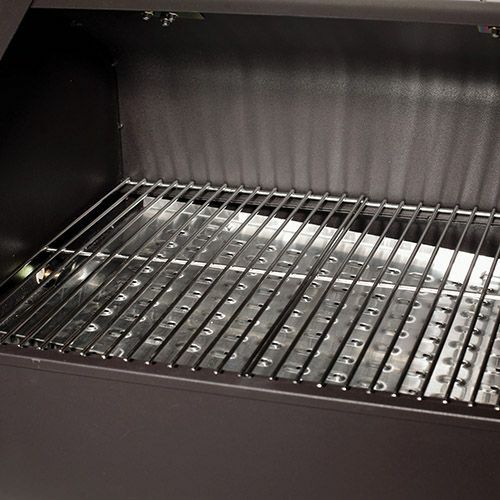 Other features include a positive pressure hopper fan to prevent burn-back, "fan only" mode with automatic shut-off to blow ash out of the firebox after you finish grilling, just over 1,400cm2 primary cooking area, stainless steel grates, and 20cm clearance inside. It weighs 26kg. Control and monitor through the iOS or Android App or from the control panel. From 65°-285°C (150°- 550°F) in 5° increments. Switch between indirect heat and direct heat cooking using 2-piece grease tray. Easy monitoring and control of meat internal temperature. More cooking space than under a barrel lid. 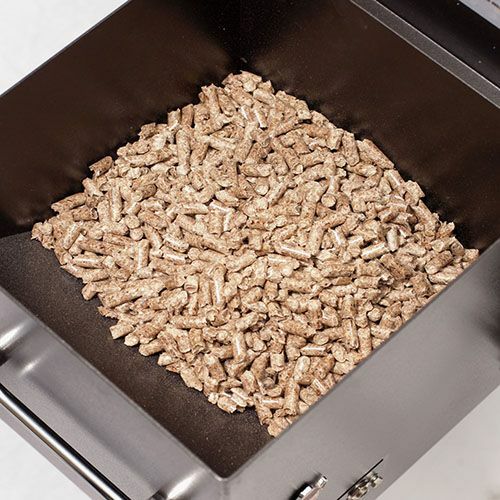 Greater insulation, lower pellet consumption; durability. For cyclone combustion and more efficient pellet usage. 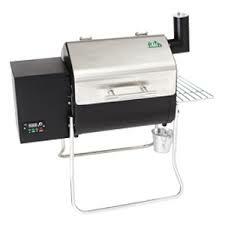 With automatic shut-off, to blow ash out of the firebox after you finish cooking. The Sense-Mate thermal sensor constantly monitors the ambient temperature. When it gets cold outside, it kicks the grill into Turbo mode so you don’t have to wait long for the grill to heat up! Stainless steel grate (450mm x 320mm / c. 1,400 sq cm). Convenience tray with utensil hooks. Inside clearance: 197mm / 7.75". Please note that the Davy Crockett is supplied with either and internal or external WiFi antenna.